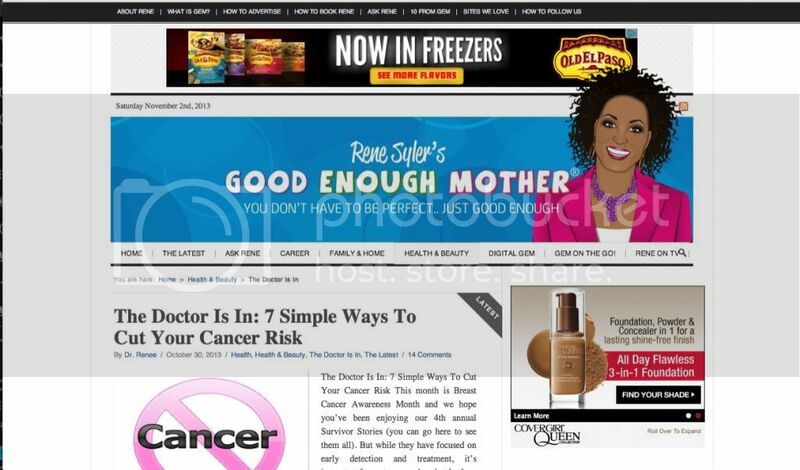 Some of you may know that I am the HEALTH BLOGGER for Good Enough Mother Rene Syler. My latest post is to help us all to remain healthy by cutting our cancer risk. Please read it and leave comments here or there and let me know what else you would like me to talk about. Click below to read the article.